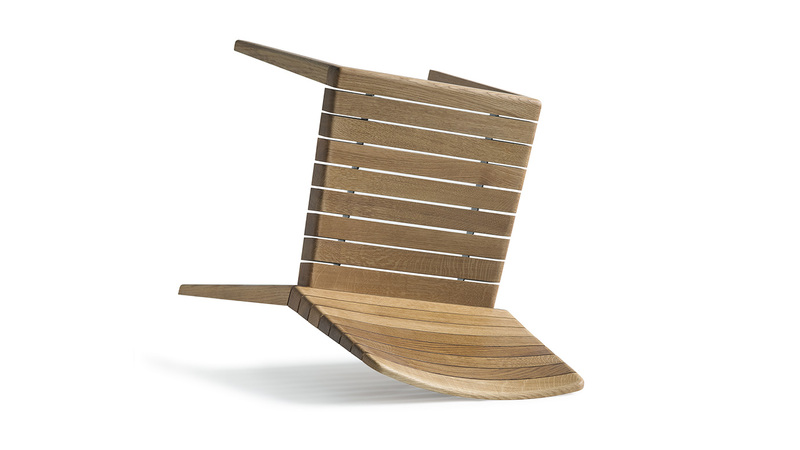 It is quite surprising to discover solid wood chair with a flexible backrest that moves dynamically with your movements. 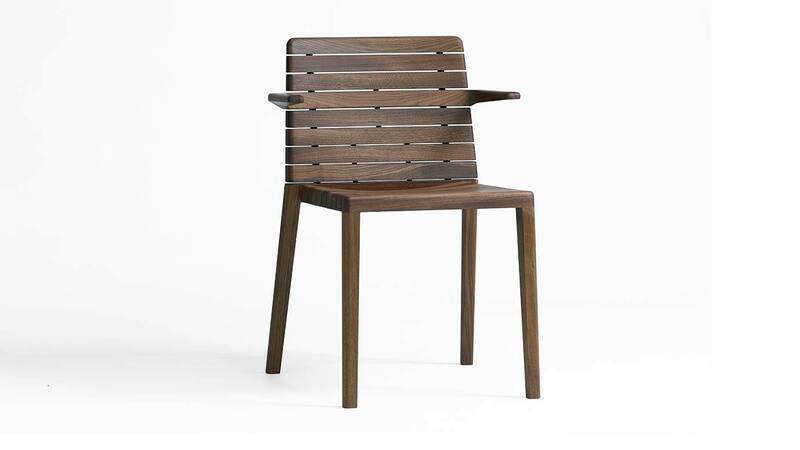 This is due to the clever ribbed structure whose back elements are interconnected with carbon rods, thus providing an ideal level of elasticity. 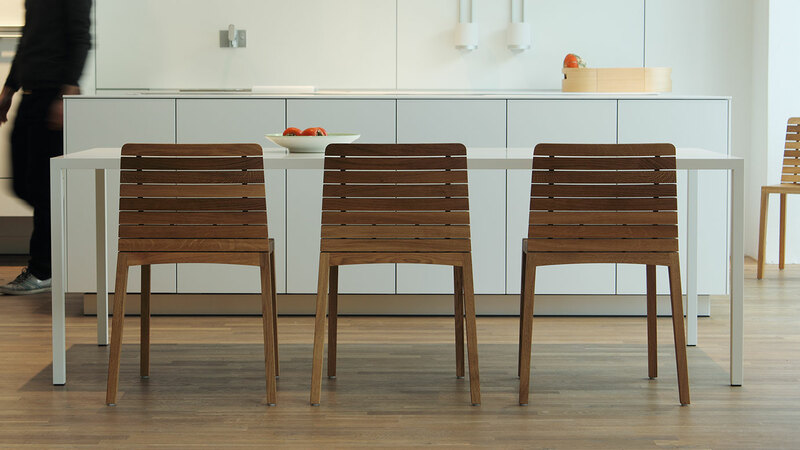 The open surface gives the RIP CHAIR a light and air appearance, while guaranteeing perfect ventilation. 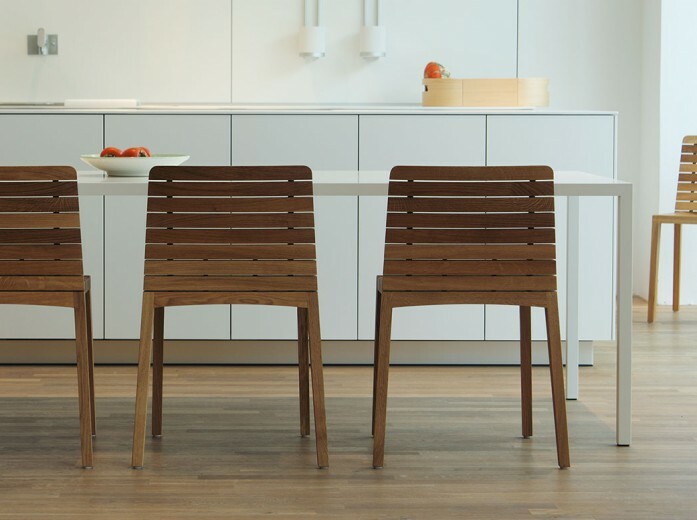 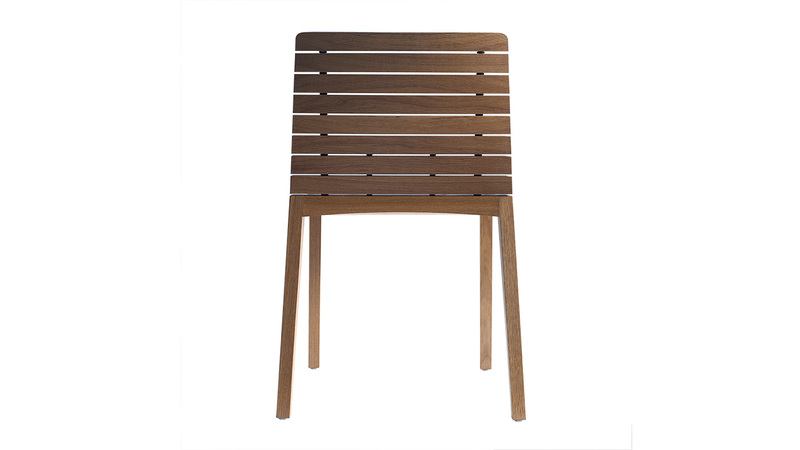 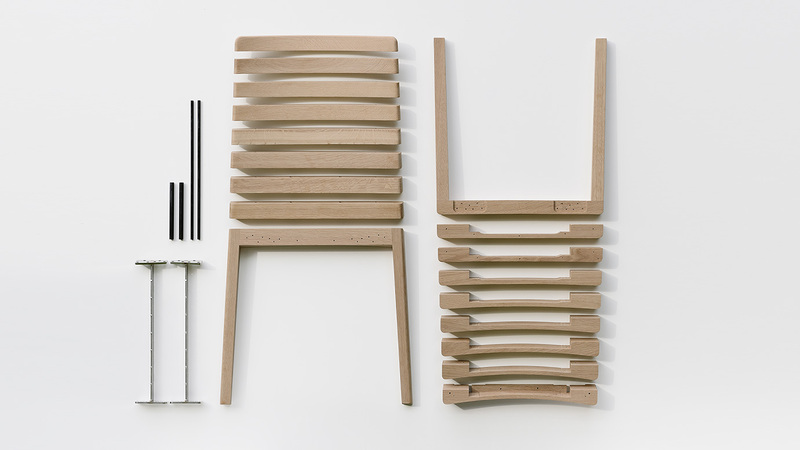 The stackable RIP CHAIR is made of solid oak or walnut and available with and without armrests.